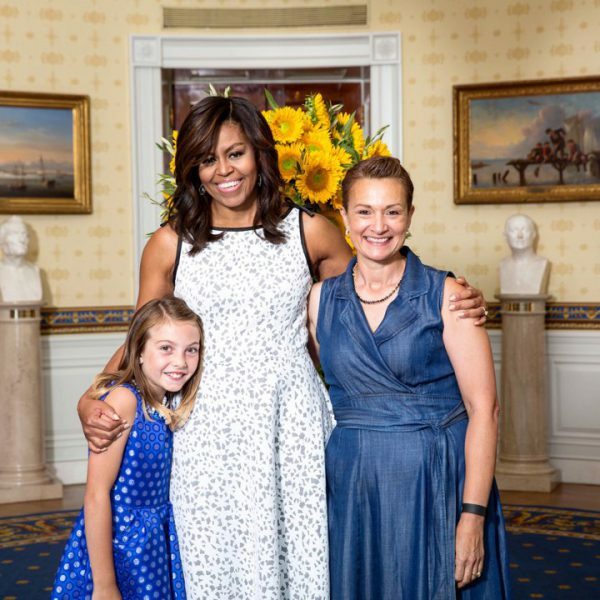 Not too many home cooks can say they were honored at a State Dinner with former First Lady Michelle Obama at the White House! In a 2016 contest called the “Healthy Lunchtime Challenge” students from every state in the USA along with a parent or mentor were asked to enter a healthy recipe to encourage good eating habits. Areli Biggers was the mentor to 10-year-old Abby from her church for this contest. Together they created, developed and cooked a recipe that took them to the White House representing the state of Massachusetts. Can you imagine the excitement for little Abby? I bet she had stories to tell back at school the next day, not to mention a lifetime of memories. I’m far from done with Areli’s accomplishments! If you are a food person, and I assume you are if you read my blog, then you know all about the Food Network show called Chopped. 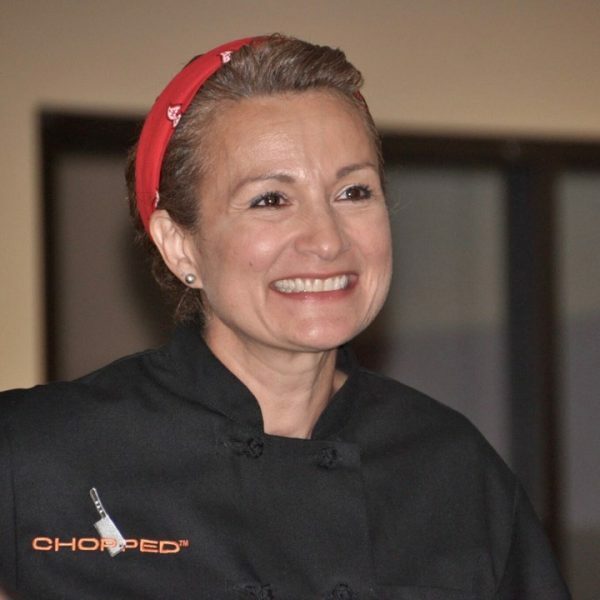 Yes, Areli won a Chopped episode called “Leap of Faith” where she represented her church as a pastor and went up against a Rabbi, Priest, and a Nun. Now she is White House Champ and Chopped Champion. Still not done. 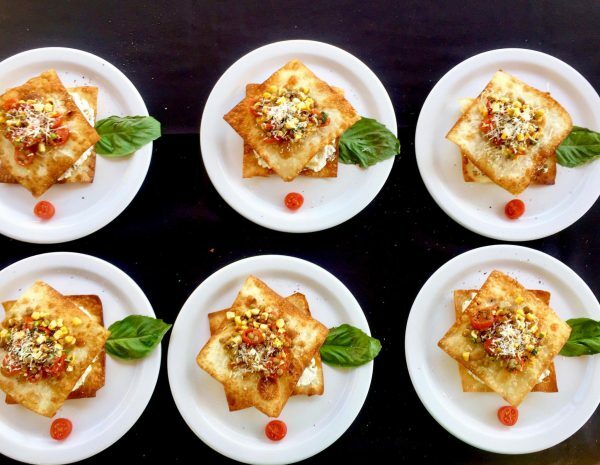 Recently, Areli competed at the 29th Annual National Lentil Festival, which included the 23rd Annual Legendary Lentil Cook-Off. 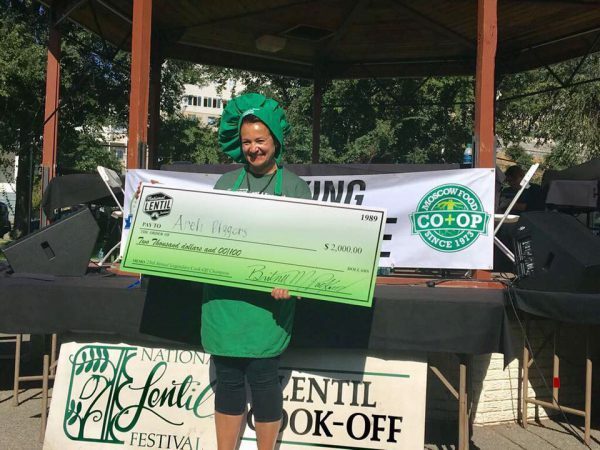 Areli won the grand prize of $2,000 with her “Lentil Loaded Lazy Lasagna.” She competed along with other members of Cooking Contest Central which is America’s premier website and online community for cooking and recipe contest enthusiasts. If you are interested in cooking and recipe contests, it’s the site to join. Does that look like fun or what? Check out this contest here. It’s held annually in Pullman, Washington. One last thing. Did I also mention the big heart of Areli? She sent me these three lovely cookbooks. It was the first time I had seen a Lentil Cook-Off Cookbook even though I have heard of the contest for years. I love having a copy with all the great recipes. 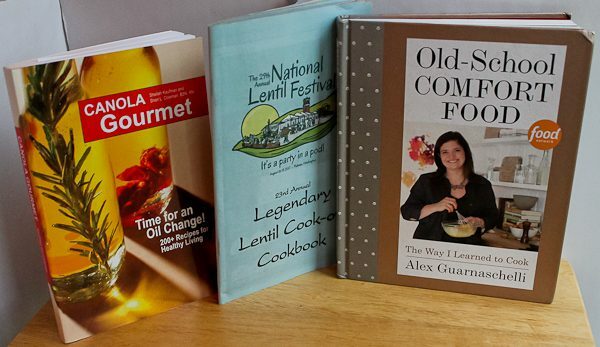 The Alex Guarnaschelli book is signed, as is the Canola Gourmet, both prizes from recipe contests. Thank you so much, Areli! There have been many other wins from Areli and be sure and watch for more in the future. Areli says she just loves cooking and putting smiles on people’s faces when they eat her food. I think we can understand why! Mix all ingredients together and keep the mixture handy until ready to use. In a large bowl, mix together lentils, tomatoes, corn and onions and set aside. In a small bowl, mix together lime juice, balsamic vinegar, oil, garlic powder, salt and pepper to make a vinaigrette. Add vinaigrette to the lentil salsa. Add fresh basil and mix well. (Hold the Parnesan until plating). Heat a cast iron skillet on medium-high; add canola oil and distribute the oil in the pan. Cut tomatoes in half and place in the skillet. Add onion and garlic (with the peel). Flip them over and cook until charred, 7-8 minutes. Discard tomato and onion stems and garlic peel. In a large bowl, chop and mash vegetables roughly. Bring back to the skillet and add lentils, salt, and pepper; mix well. Keep the sauce warm until ready to use. In a large skillet, heat oil to 350 degrees F and place rolls flap down, a few at a time, turning occasionally with kitchen tongs until golden, about 2-3 minutes. Drain on paper towels and set aside. Assemble the lasagna by placing a noodle wrapper on a plate, add cheesy ricotta mixture first, lasagna sauce filling next, and cover with another noodle wrapper. Add fresh lentil salsa on top and sprinkle Parmesan cheese, a pinch of salt, and cracked pepper. Serves 8. Areli is definitely a sweet lady and a great competitor! I’m sure you’ll enjoy those special cookbooks!!!!! Yes, I am already enjoying them!